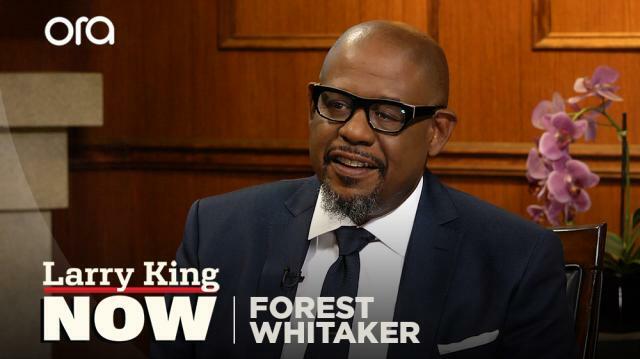 Forest Whitaker – who is one of just 16 black actors to ever win an Academy Award – praises the diversity of this year’s nominations, both in front of and behind the camera. Larry King: This year is pretty diverse, the Oscar nominations, right? Larry King: And now, with Netflix and Amazon, the opportunities are incredible, right? Forest Whitaker: Yeah, I think there's a lot more opportunities to be able to do good work in so many different mediums goin' on at the same time, so people get a chance to explore, and I think they're starting to realize what the audiences want, and the audiences want inclusion, they want to see us all together making projects and understanding each other's world.